Research released on Monday suggested that many more lung cancer patients may benefit from treatments that boost the immune system. 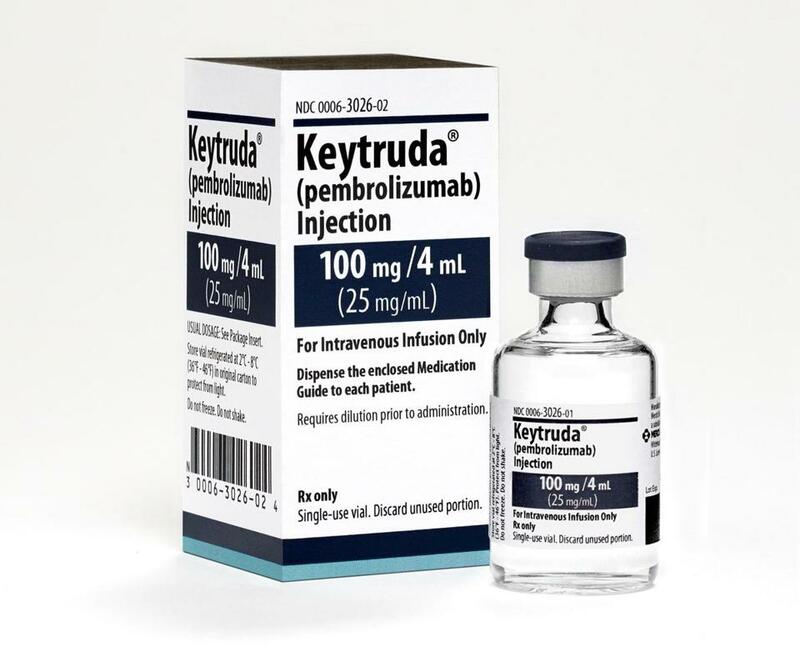 Using one of these drugs — Merck&apos;s Keytruda — with usual chemotherapy extended survival for people newly diagnosed with the most common type of cancer that had spread beyond the lungs, one study found. The odds of survival can greatly improve for people with the most common type of lung cancer if, along with the usual chemotherapy, they are also given a drug that activates the immune system, a major new study has shown. The findings should change medical practice immediately, cancer experts say: Patients with this type of lung cancer should receive an immune-activating drug, also called immunotherapy, as early as possible after the diagnosis is made. The findings represent another step forward for immunotherapy, which has been making steady gains against a number of different cancers. Four immunotherapy drugs for cancer, known as checkpoint inhibitors, have been approved. The drugs unleash the patient’s own immune system to kill malignant cells. They cost more than $100,000 a year, can have serious side effects, and help only some patients, generally fewer than half. But when the drugs work, responses can be long-lasting, and researchers are rushing to find ways to combine treatments to improve their effects and to determine which formulation is best for each patient. “I’ve been treating lung cancer for 25 years now, and I’ve never seen such a big paradigm shift as we’re seeing with immunotherapy,” said Dr. Roy Herbst, chief of Medical Oncology at the Yale Cancer Center. He was not involved in the study. Gandhi said chemotherapy alone had only a “modest benefit,” and could add only a few months of life, with most patients surviving about a year or less. The combination treatment is a significant improvement, she said. It is already approved as a first-line treatment for this disease, so it should be covered by health insurers. She was scheduled to present the results Monday in Chicago at a meeting of the American Association for Cancer Research, and they were also published in The New England Journal of Medicine. Most patients stay on the drugs for two years, he said. One Yale patient who has survived for eight years took the drug for two years and has remained well ever since. Another had to stop because of side effects after only two or three months, but is still well two years later. Herbst offered several theories about why chemotherapy and immunotherapy could work well together. He said that tumor cells were like bags of hidden proteins that, if exposed, the immune system could use as targets to find and attack cancer. By killing some tumor cells, chemotherapy could pop open the bags, release the contents and help immune cells — unleashed by the checkpoint drugs — to identify their prey. It is also possible, he said, that chemotherapy may kill some immune cells that interfere with the cancer-killing action of other parts of the immune system. Gandhi’s study included 616 patients with advanced lung cancer, from medical centers in 16 countries. Their tumors lacked certain mutations that would have made them eligible for other, “targeted” treatments. They were picked at random to receive either chemotherapy plus immunotherapy, or chemotherapy plus a placebo, with two-thirds receiving the combination that included immunotherapy. But patients in the immunotherapy group had more kidney problems, more immune-related adverse events, and were more likely to stop treatment because of side effects.